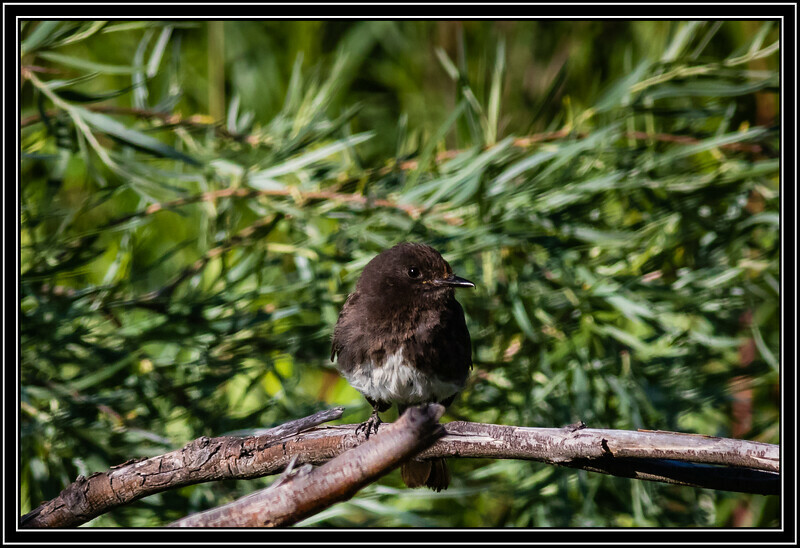 Superb capture of this Black Phoebe. Great capture, nice comp and light! That is certainly a pretty little bird! Love the background too. Excellent shot of this phoebe that's found in the western part of the country.